Burning woods is an age-old heat source for the home in winter. People from stone age used to cut woods in late winter and early spring and store’em up for the following winter. No shame in admitting that, we’re doing the same thing in even 2019! But the fact is, if you end up with seasoned(or wet) wood, the whole purpose gets ruined. Seasoned greenwood produces a lot of smoke and builds creosote up. So, it’s so important that you learn about how to tell if firewood is seasoned or not. 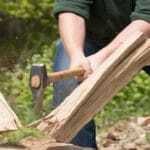 2 Why is dry firewood so important? 3 How to Tell If The wood is Seasoned and Okay to Burn?? 6 How to Identify The Best Quality Wood to Burn? Drywood is simply the opposite of what we call ‘Greenwoods’. It’s often explained in terms of moisture content in the wood itself.The moisture content of the wood (%) indicates the amount of water contained in the wood. Why is dry firewood so important? It is important to use dry and seasoned wood to achieve excellent combustion and to maximize the benefits of your wood stove. Otherwise, it might lead to severe odds for health and the environment. The dry firewood calorific value is higher than the wet wood. That means if the wood used is wet, your appliances will heat up less well. This is a shame because if you decide to use a wood stove is that you want to enjoy optimal comfort during the winter. When using damp wood, do not be surprised if your wood stove generates more ash, pollutants, and smoke. So, the use of wet wood is harmful to the environment and a source of nuisance to neighbors. Seasoned greenwood is more likely to build up creosote over time, which is highly prohibited for healthy breathing. How to Tell If The wood is Seasoned and Okay to Burn?? Place your mouth on the opposite end of the log and blow through. Check for the presence of bubbles/foams. If the liquid makes bubbles or foam, then the wood is sufficiently dry. When the wood comes to be dry, the air can freely pass through each end of a log. The dryness can be easily read by hitting two logs against each other. Take two logs of equal sizes while striking these two logs against each other. If the wood is dry, the sound will Create resonance. If the wood is wet, the logs will create gentle sound. Be careful because this test gives a superficial indication of the level of humidity. Thus, unable to prove precisely. This the method of evaluation moisture content with your naked eyes. 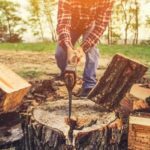 Seasoned firewood must be odorless, clean, hard, having cracked at the ends, mold-free or fungi-free, appear growth rings and light in color. Also, Dry woods have the bare spot and loose bark that can be removed easily. If your wood meets these criteria, it is a sign that it is seasoned and ready to use in the wood burning stove. You can test your firewood to burn a piece of wood at outdoor. Damp woods don’t want to burn easily. As a result, green damp wood produces a lot of smoke. The less amount of smoke indicates the dryness of your firewood. Using a moisture meter can be an effective tool that accurately measures the moisture contents of wood. Take measurements on several logs from different parts of the wood. Split a log in half and measure the moisture on the heart of the log. If the humidity is less than the 20% the firewood is ready to use. Instead of spending bucks after a moisture meter or so, you can try a DIY method for it. As it’s executed in an oven, we would call it the Oven Drying Method for moisture content. After the expected drying time weight again. Put your sample back into the oven for one more hour. Weight again. If the weight is less than the last measurement. Keep it back into the oven for an hour. Weight it again. Repeat this process until the weight stays the same as the previous weight. That weight is the oven dry weight. Now Initial weight – Oven dry weight and divide it by the oven dry weight. Multiply the result by 100. Boom! You will get the firewood moisture content. All wet wood is difficult to burns, less powerful. Therefore produces less heat. If your wood is wet, it will sizzle when heated because the water in the wood boils. Moreover, damp wood will release black smoke from the chimney. On the other hand, dry wood fumes will be white. How to Identify The Best Quality Wood to Burn? When buying, do not hesitate to inquire about the cutting period, the previous storage conditions and especially the moisture content of firewood. Dry wood should have a moisture content of less than 20% (the ideal moisture content is 12 to 15%). If possible, check this rate with a moisture meter. Firewood should be allowed to dry for a minimum of 12 – 18 months before use. To dry the damp logs, cut them into small pieces and place them in a suitable woodshed to speed up for the drying process. Make sure that the top of the shelter is covered (use a tarpaulin if necessary) to preserve logs from rain or humidity. Also, be sure to keep the sides of the shelter open to help the flow of air and speed up the drying process. Your firewood must be stored in a shelter designed for this purpose and not against the wall of your house. It will slow down the drying process and help to attract vermin. There are different types of best wood for combustion, each burning differently and having various characteristics and benefits. 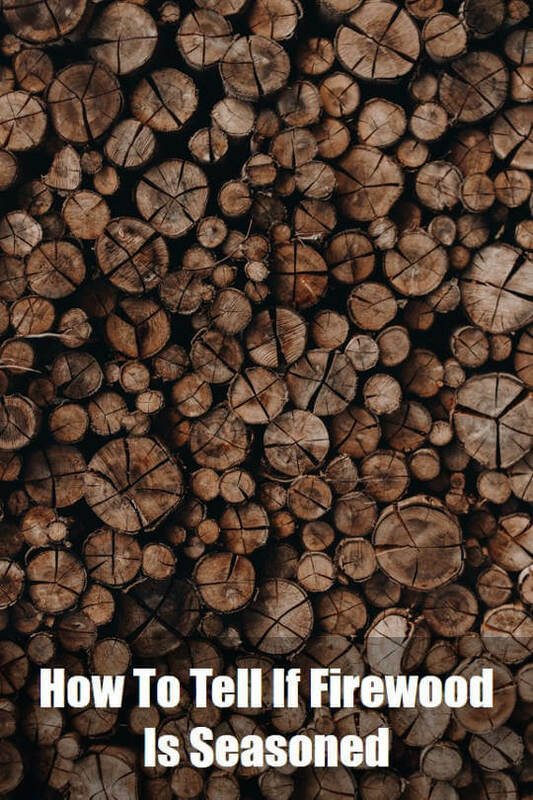 For example, softwood such as pine offers shortened combustion and intensified fire and hardwood such as oak and beech burn much more slowly and at length. Do you mind if I quote a couple of your articles as long as I provide credit and sources back to your webpage? My website is in the exact same area of interest as yours and my users would certainly benefit from some of the information you provide here. Please let me know if this ok with you. Thanks! Keep the oven door slightly open while drying out food; a gap of 2 to 4 inches wide should be enough. This will allow air to circulate inside the oven. Air circulation is important for uniform drying.